The Lost Dogs’ Home was a pioneer in its launch of National Pet Register in 1989 with the understanding that tag and microchip identification of a pet was their ticket back home. This, together with lobbying for mandatory microchipping proved successful in increasing reunions between lost pets and their owners while also changing the way Victorians valued and considered their pets. Twenty-eight years later however, the market has evolved and the Home has made the strategic decision to focus resources on our core animal welfare cause. National Pet Register has reunited thousands of lost pets with their owners over its 28 years in operation. Our call centre staff have reassured and helped frantic owners at all hours of the day and night by bringing them together with their lost cats and dogs every day of the year. 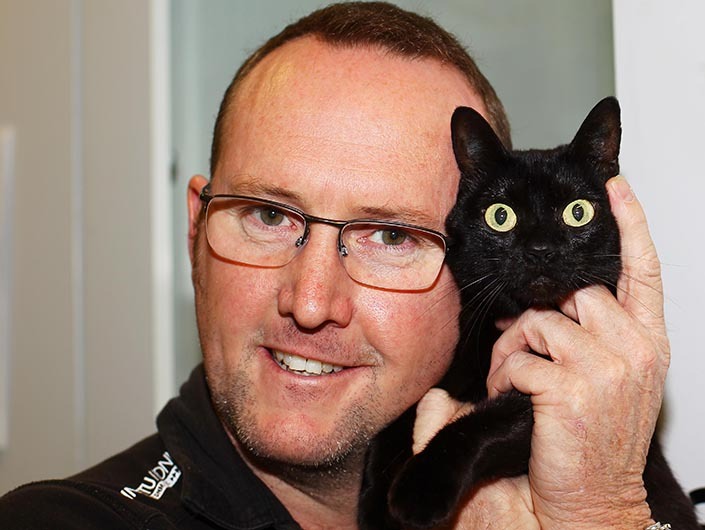 Sometimes a lost pet was just around the corner and other times they had travelled hundreds of kilometres away and were reunited many years later. This vital service assists pet owners Australia-wide; and while it remains crucial for lost pets and their distressed owners and aids in the messaging around responsible pet ownership, the Home has come to a strategic decision to transfer the management of the Register database and its operation to Central Animal Records. Both National Pet Register and Central Animal Records are working closely to ensure the transition is seamless for all pet owners with the handover anticipated to be finalised by 21 April 2017. Central Animal Records is the largest and one of the most experienced companion animal microchip registries in Australia and share common values and commitment to animal welfare and the reduction of the stray and lost animal population with The Lost Dogs’ Home. Central Animal Records’ core activity is the management of its animal microchip registry database and it has a high level of efficiency, experience and customer service that makes us confident that National Pet Register’s database management will be in good hands. Pet owners with animals registered to National Pet Register will still be able to access the register by phoning 1300 734 738. The transfer of pet records onto Central Animal Record’s registry will be automatic so owners won’t need to do anything in relation to their pet’s microchip or details. Each pet owner will be individually contacted shortly to inform them of the change. If you have any questions about your pet’s record you can phone National Pet Register seven days a week from 8am to 10pm on 1300 734 738.